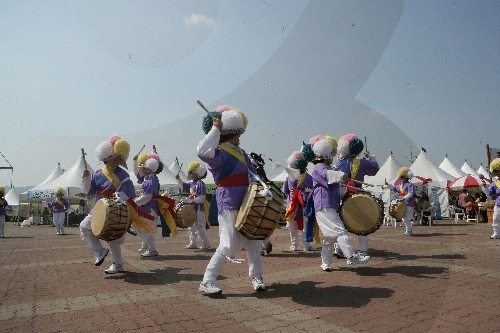 Since 1962, the Silla Cultural Festival has been a representative cultural celebration held in Gyeongju’s Bonghwangdae, Hwangseong Park, and the downtown area. It is a cultural festival that brings out the spirit of the ancient Silla kingdom, which has a remarkable history and culture. It also introduces Gyeongju’s vision of being a hub of culture and tourism that combines the old and the new. The festival allows residents and tourists to unite while building an ambience of positive interaction, as well as spreading an image of Gyeongju as a historical and cultural tourism city that embraces its thousand-year-old heritage.